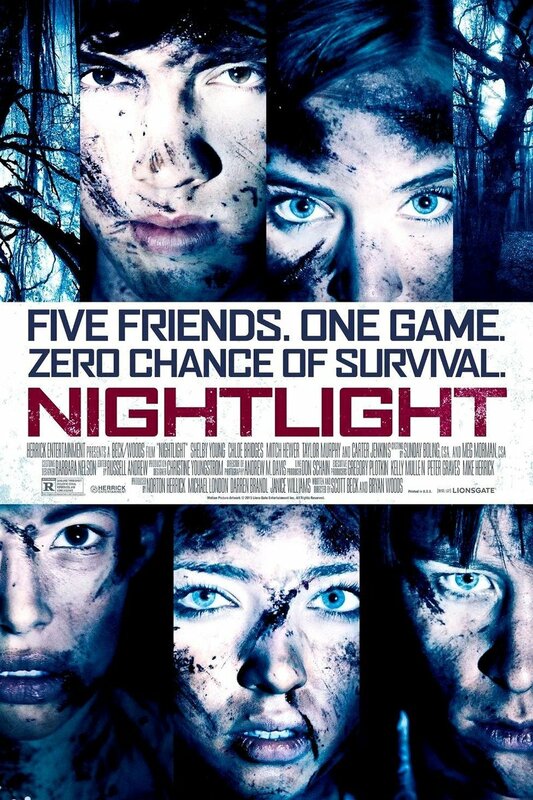 Nightlight DVD release date was set for May 26, 2015. An innocent night of flashlight tag and recounting of scary stories takes a deadly turn for five close friends when they find themselves in dark, dank Convington, a forest that has a reputation for being a magnet for disturbed young adults with nothing to live for and on the edge of suicide. In spite of being the location where a classmate was very recently killed, the five unaware friends are undeterred and end up awakening a malevolent force that stalks them, bringing to the surface their worse realized fears as they try desperately to escape the fate of those who came before them.